Seller ratings & feedback for Coas Books, Inc. Directions to Coas Books, Inc.
COAS Books, Inc is a general stock new & used book store with one of the largest used book inventories available anywhere (over 500,000 books in-stock! ). We buy, sell, and trade (trading done in-store only) good used books, CDs, Vinyl, DVDs, VHS tapes, Audio books, and games. Our specialties include Anthropology and Archaeology, Southwest Regional and Natural History, Technical Books on all subjects, Health & Medical, Science Fiction, and Role Playing games. COAS Books is proud of its reputation for operating one of the finest service oriented bookstores in the Southwest. All Domestic orders are shipped with Delivery Confirmation. Spotlight book from Coas Books, Inc.
Fair. 1305630556 **PLEASE NOTE** This book has suffered some damage. CD/Access Code may not be included. Great Price, but most likely will contain cover wear, loose/torn/creased pages and/or staining/highlighting/markings. 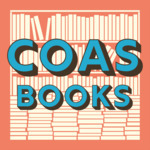 Featured books from Coas Books, Inc.
Good. 0757596630 **PLEASE NOTE** This book is in good condition. CD/Access Code may not be included. Great Price, but most likely will contain cover wear, loose/torn/creased pages and/or staining/highlighting/markings. Fair. 1435419472 **PLEASE NOTE** This book has suffered some damage. CD/Access Code may not be included. Great Price, but most likely will contain cover wear, loose/torn/creased pages and/or staining/highlighting/markings. by Clarkson, Euan; Clarkson, Euan, N.K.